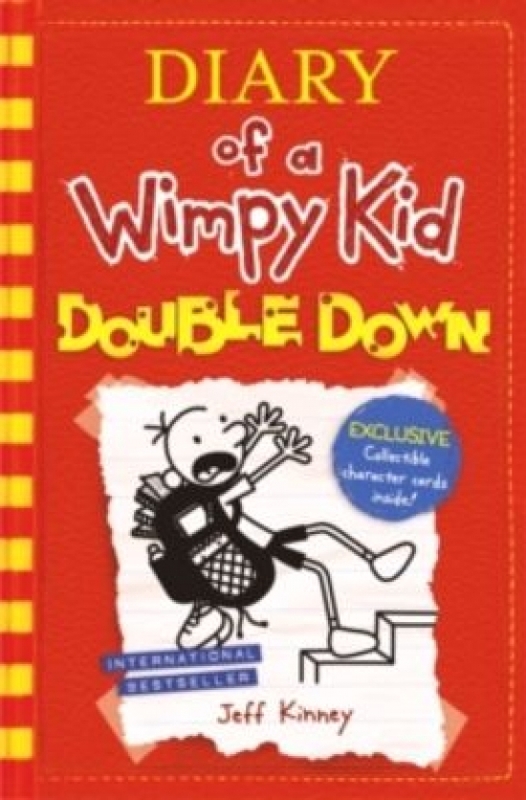 Get ready, Book 11 in the phenomenally bestselling Diary of a Wimpy Kid series is coming! The pressure's really piling up on Greg Heffley. His mom thinks video games are turning his brain to mush, so she wants her son to put down the controller and explore his 'creative side'. As if that's not scary enough, Halloween's just around the corner and the frights are coming at Greg from every angle. When Greg discovers a bag of gummy worms, it sparks an idea. Can he get his mom off his back by making a movie ...and will he become rich and famous in the process? Or will doubling down on this plan just double Greg's troubles? Get your hands on this special edition with exclusive character cards! Kontrolná otázka: Koľko je tri mínus dva?